definitely not for everyone. Here are a few things to consider before you decide to invest in bonds. Most of the times Chamas interested in a fixed income on their investment will be able to benefit from this type of investment the most. If you are trying to invest with a short time frame, these can also be beneficial because of their safety and steady interest. When you purchase a bond, you are going to be able to receive a fixed interest rate over the life of the bond. This means that every month or quarter, you are going to receive an interest payment from the issuer of the bond. Bonds are considered to be very safe as an investment. If you invest in government or corporate bonds, you are considered a creditor to the government or company. This means that even if they go bankrupt, you will have a good chance of getting your investment back. Whenever you purchase a bond, it is critical that you understand who the bond issuer is and what their track record is. Whenever you purchase a bond, you are essentially loaning someone money. If you purchase a corporate bond, you are giving part of your money to a company and allowing them to use it as they want. You are going to be depending on the issuer of the bond to make regular interest payments to you. Therefore, you want to make sure that you choose a bond that is backed by a solid issuer. 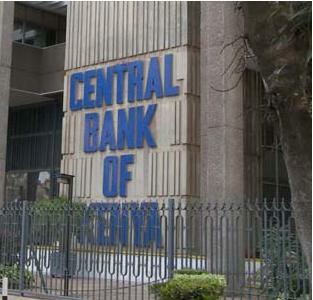 For instance, you can buy bonds from The Central Bank of Kenya which is a very secure investment as you will be loaning money to the government. Bonds go between 1 – 30 years. The term premium bond is commonly used in the bond market today. When investing in bonds, it is important to understand that the value of the bond is inversely related to market interest rates. This means that as the interest rate increases, the value of your bond is going to decrease. When interest rates in the market go down, the value of your bond is going to increase. A premium bond is one that is worth more than the face value of the bond because interest rates in the market are below the interest rate that is currently being paid by the bond. For example, let’s say that you purchased a Kshs100,000 bond that paid a rate of 5 percent. Then, interest rates in the market went down to 2 percent. At that point, someone might be willing to pay you Kshs.110,000 for your bond instead of the face value of Kshs.100,000. They know that they will have to pay more than the face value of the bond because of the higher interest rate that is attached to the bond. So, how to you get into bond investing. It is a good idea to work with a financial institution such as Dyer and Blair who are familiar with this type of investments or you could visit Central Bank and find out bond investment options with the government.